One of my favorite quotes came from a guy who I worked with during a college internship at Fermilab — a world leader in particle physics and accelerators… mind-bending stuff. As part of the internship, I designed and built circuit boards. I got to actually build what I designed. So, there I was… on my way to my degree… heading into senior year… and I know this stuff! Then, one day, I met this guy — he’d never gotten a degree in electrical engineering. He had an Associate’s degree, but not a Bachelor’s. And this guy knew everything about everything! I’d be designing a circuit and he’d look over my shoulder and say something like, “Pfft! Thing’ll never work.” And then he’d walk away. I remember chasing him down the hall yelling “Wait! What are you talking about? What’s wrong with it? It’s perfect!” And he’d just look at it and say, “You’re so academic. It works on paper… you’ve got too many capacitors there; this wire over here and this length of it is going to add this; and it’s going to fall off. You’ll never get the voltage. It ain’t ever going to work.” And he was right. He knew what would work and what wouldn’t by having done it. I’m a huge supporter of education. I wouldn’t be where I am without it. But what that brilliant practitioner pointed out to the academic me of years ago has turned out to be one of my most important life lessons: There is as much — maybe more — to learn through doing and experiencing than through academics. You have to understand both the art of the possible and the practicality of reality. I had the pleasure to interview Mike Jackowski, the CEO of Duck Creek. Mike brings more than 25 years of technology, operations and insurance-industry expertise to this global leadership role, in which he’s responsible for the company’s strategic direction and overall performance. As CEO, Mike shares his passion for the possible by aligning company goals and industry experts to deliver the solutions that drive business value for insurers worldwide. Prior to Duck Creek, Mike held several leadership roles at Allstate. He was senior vice president for the agency technology and sales business units, where he was responsible for strategic management and operations. He also led the business through a technology transformation that improved interactions and communications between the carrier’s employees, agents, and customers. He joined Allstate as the senior vice president of technology and operations, where he was credited for reinventing the insurer’s claims operations through modern technology and governance, a project that impacted 17,000 employees and involved 1,000 resources on three continents. This “Next Gen” claims initiative, which he spearheaded, was honored in 2008 with two illustrious industry recognitions: “Premier 100 IT Leaders,” by Computerworld magazine, and the Pink Elephant’s Information Technology Infrastructure Library Project of the Year award. Before joining Allstate, Mike was a managing partner for Accenture’s global claims and underwriting practice in the financial services group. In this role, he was responsible for Accenture’s overall claims and underwriting product strategy and direction, which included creating the company’s pioneering software solution, Accenture Claim Components, now Duck Creek Claims. I’ve spent the majority of my career using software to solve business problems in the insurance industry; after 12 years managing the Global Claims and Underwriting practice at Accenture, I moved to Allstate Insurance where, over nearly ten years, I lead operational and tech strategy for both the Claims division and Agency Sales. 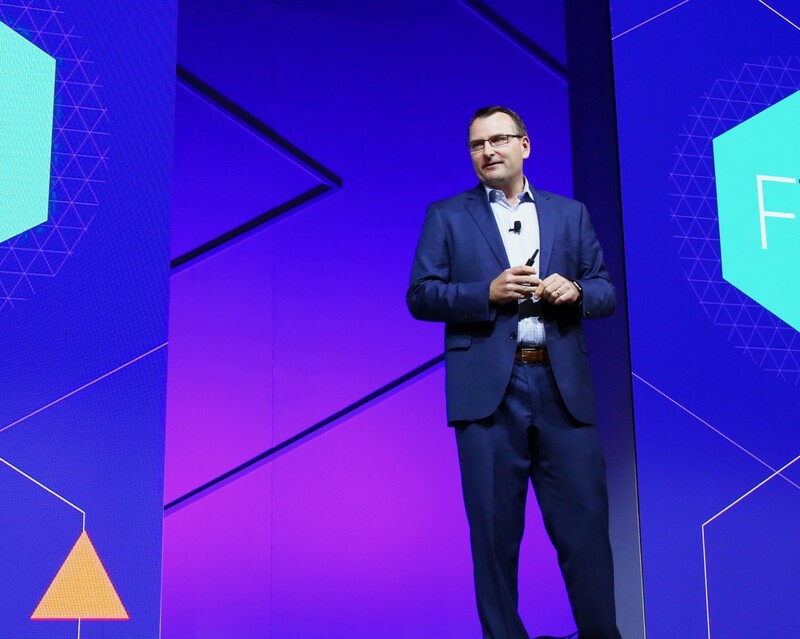 From there, I returned to Accenture to lead strategy for its property & casualty software business in the wake of its acquisition of Duck Creek Technologies. In April of 2016, Duck Creek was spun off as a privately-held firm, and I was appointed CEO — it’s really the perfect place for me, and I love working with our amazing team every day.I feel like I have equally-weighted passion in three things: the business side of insurance and driving change, the application of technology to make an impact, and leadership — leading organizations and aspiring to do remarkable things with great people. Those are the things that have always driven me professionally — passion for insurance, passion for technology, and passion for inspiring people. When Accenture was first looking at buying Duck Creek, the biggest issue I heard from Duck Creek people was whether Accenture was going to change the dress code. People were VERY anxious about it. So I flew down to Bolivar, Missouri and met with Doug and John Roller and Andy Yohn, and I did a bit of reconnaissance to try to understand the people and the culture of Duck Creek. I was initially taken aback by how casual the dress code was — people were wearing shorts and flip-flops — but it was awesome, because everyone there truly just cared about making great software, and the casual dress code made them all feel comfortable doing the great work they were doing. Later on, when we flew down to Bolivar to make the announcement that Accenture was acquiring Duck Creek, a colleague of mine who ran Accenture’s global insurance practice came with me. Since I’d already been down there, I decided to acclimate myself a bit, and I wore khakis and a golf shirt. My colleague was dressed in a full suit and tie — and as I was driving down to Bolivar with him, he said, “Hey Mike, do you think I should lose the tie?” And I said, “No, no, keep it on.” So he’s wearing this very traditional suit and tie when we pulled all 250 Duck Creek employees there into a town hall meeting… and Doug Roller got onstage to tee up the announcement, and I gave my speech welcoming everyone to Accenture, and then I introduced my colleague. I said that he was there to introduce the new company dress code — and you could practically hear crickets. People were visibly panicking thinking that we were there to tell them they all had to start wearing suits to work! Of course, once I told them I was just joking and that there was not going to be a change to Duck Creek’s dress code, we all had a good laugh about it, and I think everyone appreciated that we took a stressful situation and turned it around by being approachable and using a little practical joke to lighten the mood and kick off our working relationship. This is one of the most inherently difficult things to do as a leader. In order to do it effectively, here’s what I believe: that your organizational structure needs to be informed by or organized by how you design your products, not the other way around. In order to synchronize teams, you need to make sure that each of the teams has autonomy to work without having arbitrary dependencies standing in the way. You also need to make sure that the interfaces and interactions between the teams are clear and well-understood. And that takes upfront thoughtfulness — I think the most effective thing you need to do is understand what you’re designing your teams around, and then make sure they have the autonomy to execute within those components and clear points of interaction wherever they are called for. I think building and maintaining a work culture that is relevant, compelling, and motivating across very different geographic cultures is a huge challenge. While basic elements such as trust, humility, and empathy are core to our business, the temptation to assume that what keeps people engaged and excited in one area will be the same in another needs to be avoided. I rely heavily on the leaders in each of our locations to have a deep understanding of cultural drivers in their region. I got the best advice a number of years ago from someone I met who worked at Southwest Airlines. The minute I heard it, I began to put the thinking into practice… the premise is: company leaders work for their employees. It is a CEO’s or founder’s job to make employees’ jobs easier — to remove roadblocks to progress or success… to help them navigate across the organization…. to free them up to contribute to their maximum ability. It’s a fairly simple concept, but a powerful one, and one that I try to live into as much as I can. If I can remove hours and hours of work from somebody because I’m willing to have a 15-minute conversation — whether it’s with a customer, with another leader in the organization — of course I’m going to have that conversation, because I think that type of attitude is really what allows employees to work in the best environment possible. My first thought is: it takes hard work. It is a seller’s market today — and especially in high-tech. It’s not enough to offer competitive wages and solid benefits — those are table stakes. Today’s workers are looking for ways to meaningfully contribute to a company’s success — and to further their careers while they’re at it. They’re looking for the trust, support, freedom, and tools to help them make a difference. I think this is tied to the notion of organizational leaders working for their employees. It’s a company’s job to clear the way for individual and team success — whatever that means. As difficult as it might be, if it means clearing managerial roadblocks, that’s job one. The best advice I ever received about motivating employees was this: if you want to find a way to inspire your employees, you need to be inspired yourself. People really do get inspired by their leaders, and I think as a manager, you have to ask yourself every day if you are truly inspired about what you are doing and why you are doing it. Lead by example. Don’t ask anyone to do anything that you wouldn’t be willing to do yourself. And if you really want your people to aspire to do great things, you have to show them that you do, too. The best managers are able to understand vastly different perspectives in a room -picture the different colors of a beach ball seen from the white circle at the top of the ball — describe everyone’s different reality very objectively, help the team see everybody’s point of view in a constructive way, and arrive at the best answer. In my experience, the person in any given meeting, any given situation, who can do this most effectively will emerge as the default leader of the group. It doesn’t matter what their title is; people often look to the person with the highest title to play that role, but if they don’t, and someone else does, that person will emerge as the leader. It’s critical to help a team visualize an end state for its efforts. If people can “see” the cathedral they’re building, they’re going to lay the bricks a little cleaner and tighter because they can picture the outcome. It’s equally important to then lay out how the team will get there. I used to work with a master vision painter, Vic Guyan. Vic was a partner at Accenture. He would start by showing us what we were going to build. His excitement about the end vision was completely infectious. He would then lay out a massive solution map and say, “So, we’re going to go build this whole thing, and it’s going to be incredible when it’s done… and we’re going to start with this single small component…” It was vision, context, and roadmap all wrapped up together in a way that people could understand and rally around. He was brilliant. Having the right people, that believe in your cause, makes all the difference. It’s not just about managing a team — they’re holding you accountable as well. And when they are inspired, and they are having fun, and they are making progress — they don’t have to be “managed.” You have to show vision and leadership, and when you do it right, your team is in essence managing you. I truly believe that building a team of passionate, diverse, forward-thinking people who want to be a part of your vision is critical to success, and the best way to build a team like that is to see yourself as a role model and act accordingly. I think people can be most effective in the world when they involve themselves in areas they know well, so I’m going stick with the world of insurance — not just because I know it, but because I also truly feel it is one of the single most important industries on the planet. It can make people and businesses whole in the face of disaster and provide the confidence of coverage that people need to grow and expand. Like all industries, though, ours is imperfect and needs ongoing improvement. 2 out of every 3 homes in US is underinsured. Nearly 13% of drivers on the road are uninsured — posing huge financial risk for them and for those on the road who are. In 2017, there was $193B uninsured economic loss worldwide. Of course, there are a number of complex reasons for each of these gaps, but when you boil them down, the key common issues are inefficiency and lack of industry automation — leading to unnecessary costs. Conducting the business of P&C insurance is simply too hard, too slow, and too expensive… and it doesn’t have to be. At the risk of sounding completely corny, I genuinely get up in the morning with the mission to make the processes of conducting insurance faster, easier, smarter, and less expensive. Once those are in place, everything else will follow. More people and businesses will be able to afford more and better coverage; the processes of buying insurance will be easier and faster; and insurance carriers will be in a position to provide better service more quickly and completely. The social, financial and economic implications of these sorts of changes make them nothing short of a movement. One of my favorite quotes came from a guy who I worked with during a college internship at Fermilab — a world leader in particle physics and accelerators… mind-bending stuff. As part of the internship, I designed and built circuit boards. I got to actually build what I designed. So, there I was… on my way to my degree… heading into senior year… and I know this stuff! Then, one day, I met this guy — he’d never gotten a degree in electrical engineering. He had an Associate’s degree, but not a Bachelor’s. And this guy knew everything about everything! I’d be designing a circuit and he’d look over my shoulder and say something like, “Pfft! Thing’ll never work.” And then he’d walk away. I remember chasing him down the hall yelling “Wait! What are you talking about? What’s wrong with it? It’s perfect!” And he’d just look at it and say, “You’re so academic. It works on paper… you’ve got too many capacitors there; this wire over here and this length of it is going to add this; and it’s going to fall off. You’ll never get the voltage. It ain’t ever going to work.” And he was right. He knew what would work and what wouldn’t by having done it. I’m a huge supporter of education. I wouldn’t be where I am without it. But what that brilliant practitioner pointed out to the academic me of years ago has turned out to be one of my most important life lessons: There is as much — maybe more — to learn through doing and experiencing than through academics. You have to understand both the art of the possible and the practicality of reality.